Okay so yes, I heard the backlash from the first mock draft. “This might be the most unrealistic scenario I’ve come across to date!”, “This isn’t a mock this is a dream scenario”, “Lol now this is what I’m talking about!!! An unrealistic mock draft where we get all the best players the fans want!”. Message received loud and clear Steelers Nation. 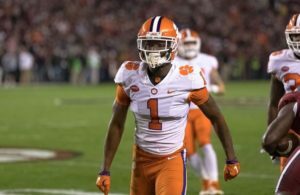 walkthemock.com, though a good website seems to have some issues when it comes to draft rankings, so here we go, mock draft 2.0, this time using thedraftnetwork.com. Rd 1 P 20: D.K. Metcalf – Ole Miss: This was a tough pick for me with Devin Bush still on the board, but there’s just something there with D.K. Metcalf. If you haven’t seen D.K. Metcalf on social media, do yourself a favor and take a look. Metcalf is an absolute freak athlete. He is the closest thing to Calvin Johnson we’ve seen since he retired in 2016. He is the perfect big receiver to put on the other side of JuJu for Big Ben. He absolutely tore up the combine, burned corners like it was his day job in college, and expect him to do the same on an NFL field. If he falls to 20 like he did here, I would be shocked if the Steelers don’t take him. Rd 2 P 52: Mack Wilson – LB Alabama: In round 2, the Steelers get themselves a Bama player, something they have only drafted twice since 1998 (Deshea Townsend, 4th rd 1998 and Joshua Frazier (7th rd 2018). Mack Wilson has the potential to be the Ryan Shazier replacement the Steelers have been looking for. Wilson showed excellent coverage ability in his college days, and though not elite range, he has the ability to go sideline to sideline and win most footraces. Being the last of the elite inside linebackers left on the board, this was a no-brainer pick in the 2nd round. Rd 3 P 83: Oshane Ximines – EDGE Old Dominion: Ximines has the perfect size to play OLB in a 3-4 front in the NFL. In 2018, Ximines posted 58 tackles, 18.5 tackles for loss, 12 sacks, 4 forced fumbles, and 1 interception, granted playing in a weaker C-USA. His power lies in his rush moves, he has quick hands, and an ability to beat lineman off the snap. Ximines offers a great rotational piece, and with development, could be a better option moving forward than Bud Dupree. Rd 4 P 122: Will Harris – S Boston College: Even though the Steelers signed Mark Barron to a 2-year deal, Harris offers some flexibility as a dime-backer, and as a 3rd safety to play down in the box, and to match up against running backs and tight ends. A big bodied safety, who ran a 4.4 at the combine, Harris has the range you look for in his position, especially starting out in sub packages early in his career. He isn’t a big playmaker, only one interception in 2018, but a consistent tackler, Harris could find himself in a rotational position his rookie year. Rd 5 P 141: Isaac Nauta – TE Georgia: Nauta was a 5-star prospect coming out of college, but the Georgia offense never really revolved around receiving tightends. Thats not to say the ability isnt there, it is more unrefined than anything. Where Nauta does shine is his blocking ability, which would make him a perfect #2 tight end for the Steelers on day 1, with the ability to develop into a solid #1 TE, and a potential steal here for the Steelers in round 5. Rd 6 P 175: Karan Higdon – RB Michigan: At this point the Steelers have yet to sign a veteran running back to complete their running-back group. Higdon would be the perfect complement to Conner, a bruising, one cut runningback, and Jaylen Samuels, a hybrid receiving back. Higdon brings some speed and flashiness to that group, and is very dangerous in open space. He doesn’t have the size to be a 3-down backer, but thats not what the Steelers need. He is a great change of pace backer, and could show some improvement in the receiving game given more opportunities. Rd 6 P 192: Isaiah Prince – OT Ohio State: With the trade of Marcus Gilbert, and the promotion to starting RT for Matt Feiler, the Steelers are in need of depth at tackle. Prince is a great developmental prospect for this role. Prince has great athleticism, but his blocking technique could use some work. Prince has the potential to be starting tackle down the road, but could just as easily be a low round bust. Rd 6 P 207: Demarcus Christmas – IDL Florida State: Despite the resigning of Daniel McCullers, the Steelers still need a rotational piece along the interior of defensive line. McCullers brings massive size to the interior, but has yet to show anything of it. Christmas could slot into short 3rd down and goal line situations with some effectiveness. His massive frame and explosive speed allows him to engage multiple blockers and disrupt the line of scrimmage, but struggles to disengage blocks. At best, a rotational player year one, at worst, a preseason roster cut or practice squad player. Rd 7 P 219: Jalen Hurd – WR Baylor: The only repeat pick from my previous mock draft, in the 7th round with most needs filled, I’m going back to Jalen Hurd. There’s something there I really like. His hands are impressive considering he played runningback for 3 years. 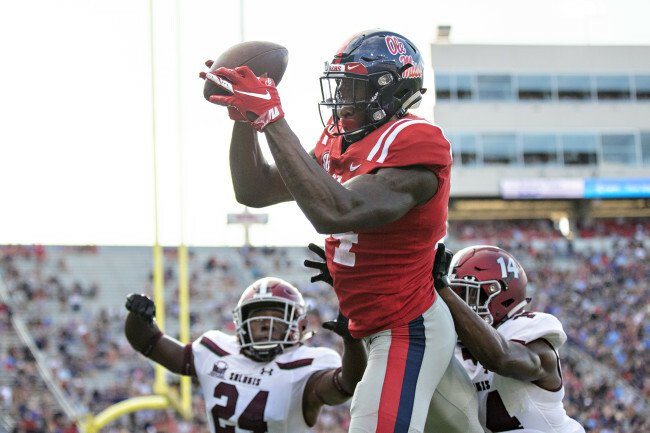 A developmental prospect that could see some special team play year one, but more than likely a practice squad role is in his immediate future. So there it is, a more realistic mock draft for Steelers Nation. I will drop the link to the full mock below if you guys would like to check it out! Remember to leave your feedback, what do you like, and what would you do differently? Pittsburgh Native. Born in raised in Warren, PA Life-long Steelers and Penguins fan.